To enhance transparency of corporate beneficial ownership in order to fulfil Hong Kong’s international obligations, the Companies Ordinance (Cap. 622) is amended to require a company incorporated in Hong Kong to obtain and maintain up-to-date beneficial ownership information by way of keeping a Significant Controllers Register. The Register should be open for inspection by law enforcement officers upon demand. The Companies (Amendment) Ordinance 2018 (“the Amendment Ordinance”) introduces new requirements on the keeping of significant controllers registers by companies. The Amendment Ordinance will come into operation on 1 March 2018. Under the Amendment Ordinance, all companies incorporated in Hong Kong (except listed companies) are required to identify a person/persons who has/have significant control over the company and maintain a significant controllers register which will be accessible by law enforcement officers upon demand. Each company must also designated at least one person as its representative to provide assistance relating to the significant controllers register of the company to law enforcement officers. Failure to comply with the above obligations is a criminal offence. The company and every responsible person of the company are liable to a fine at level 4 (i.e. 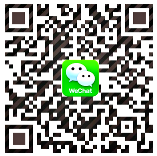 HK$25,000). 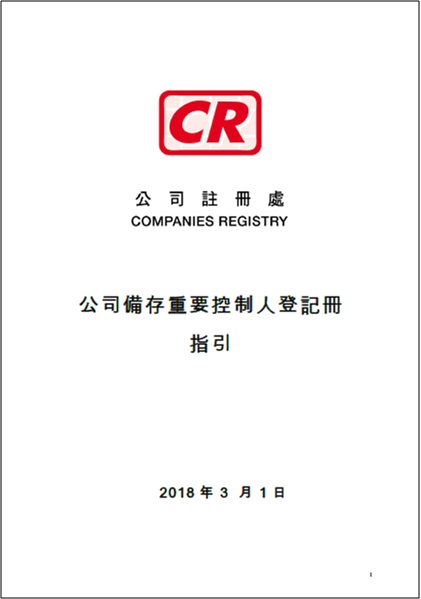 For details, please visit a dedicated thematic section on “Significant Controllers Register” at this HK Company Registry web page. 3. Provide a place to keep the SCR. Under the new requirements of Company Registry, All companies incorporated in Hong Kong (except listed Companies) are required to identify a person/persons who has/ have significant control over the company and maintain a significant controllers(1) register which will be accessible by law enforcement officers(2) upon demand. Each Company must also designate at least one person as its designate representative (3) to provide assistance relating to the significant controllers register of the company to law enforcement officers. The required particulars relating to a registrable person of a company should be entered into the company’s SCR within seven days after they have all been provided or confirmed by the registrable person; while each of the required particulars relating to a registrable legal entity should be entered in the company’s SCR within seven days after that particular comes to the notice of the company. -The person has the right to exercise, or actually exercises, significant influence or control over the activities of a trust or a firm that is not a legal person, but whose trustees or members satisfy any of the first four conditions in relation to the company. Law enforcement officers includes: Companies Registry; Customs and Excise Department; Hong Kong Monetary Authority; Hong Kong Police Force ;Immigration Department; Inland Revenue Department; Insurance Authority ;Independent Commission Against Corruption; Securities and Futures Commission. *Please Note that Failure to comply with any of the requirements in the notice within 1 month by Company is a criminal offence. The notice addressee and every related person (if any) are liable to a fine at level 4 (i.e. $25,000) and a daily fine of $700. And If you provide false statement: any person knowingly or recklessly makes a statement which is misleading, false or deceptive in any material particular in the Significant Controllers Register or reply to a company’s notice.It is liable to a fine at level 6 (i.e. $100,000) and imprisonment for six months in Maximum.